described in various books I’ve read. As long as you reference the same face for both cuts, it won’t matter. Just mark one face of each board with a pencil, crayon, tape or whatever and make your cuts in relation to it. You’ll have to readjust whatever jig you’re using for the second cut. Use a piece of scrap for setting up each cut before doing the production pieces. Assuming you are using a tenoning jig, it could be done with two passes on the TS, always referencing off the same face of the part being tenoned. First pass- cut all the right cheeks. Reset the blade, then second pass- cut all the left cheeks. Your tenons will all be equal thickness now, but you will have the potential for some variation on one side of the part. 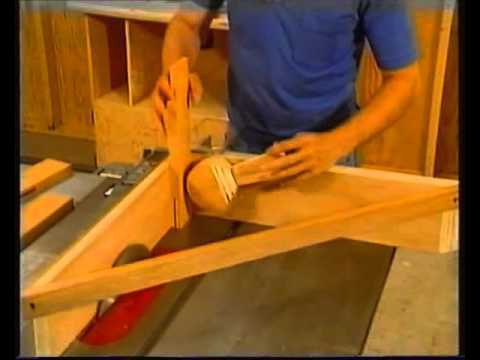 I used a tenon jig like this one for awhile. Great insight….thanks for all the input!